Wow! 2018 was another great year at The Salon and we absolutely owe it all to you. We have the best clients in all of Kansas City and it is your support that has allowed us to continue as one of the longest running, successful salons in Kansas City. We had an outpour of new guests in 2018, and we are always proud of the fact that we still have numerous clients who have been with us since the beginning. It is also not uncommon to see 3rd generation clients sitting in our chairs. That's pretty incredible and we want you to know that we could not have achieved our continued success without you and hope you know how much that is appreciated. 2019 will mark our 39th year in the Country Club Plaza area, and we promise to work non-stop to make it another great year for our customers and our team. We have added new talent to our staff, (check out upcoming bios on our website) and continue to add the newest products so that we can always offer the kind of hair care you deserve. Our team, through our education program, will be working with some of the leading educators in our industry to stay current and be the best that we can be. Our major events already planned are: advanced esthetics training at the Guinot Institute in New York City, NY., advanced cutting and color techniques at the U.S. Keune Academy in Atlanta, GA., advanced men's cutting at the American Crew academy in Denver, CO., and we hope to take our entire team to The Gathering, a three-day education event in Las Vegas, NV. It's all part of our commitment to you! We wanted to announce that we are introducing an apprentice program to those prospective new stylists wishing to achieve license accreditation through a more hands-on, in-salon program not offered at beauty schools. We'll be certified instructors in February, and our FIRST apprentice will be a very familiar face that all of you have come to know and love. Our front desk coordinator, Katie Lettau, will begin our apprentice program this spring! We are thrilled for her and we think it will be very exciting for everyone to watch her grow into one of K.C. 's best hair designers. We also have some exciting new services to offer our clients this year which we are very excited about. Microblading is a new, extremely popular service for eyebrows. It is ideal for anyone looking to reconstruct, fill gaps, or enhance the look of their existing brows. This cutting edge technique creates crisp, natural looking hair-like strokes that last up to 1-3 years. We spent all of 2018 training, preparing, and achieving certifications for this exciting new service. The average price for Microblading in Kansas City is $450.00. The Salon is now offering an introductory price of $295.00 to the first 20 clients to book their appointment! Please call with any questions. Also, after achieving more certifications and training in NYC, we will be bringing back some of our more technical treatments and introducing new skin care services to our Esthetics room. Guinot Professional is one of the leading skin care company's in the global market. They have conquered the hearts of women and men all over the world with unique products and treatments that are on the cutting edge of science and technology. Guinot services and products are offered exclusively at The Salon! Please continue to follow us on social media and our website blog to see what's trending at The Salon. Your positive reviews on Google, Yelp, and Facebook are always greatly appreciated! Again, we appreciate you and your business and thank you for all that you did! 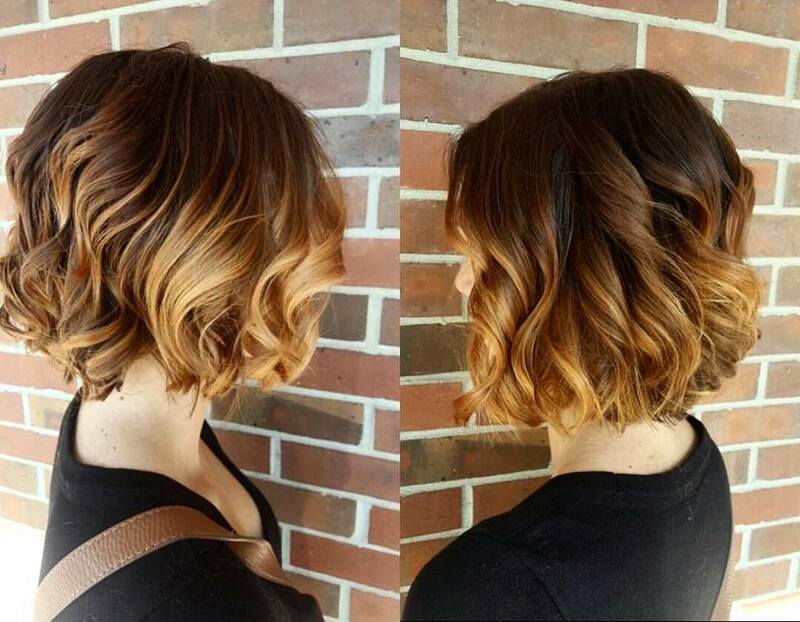 Balayage + Foilayage + Teasy Lights + Root Smudge = Trendy Summer Blondes! Thanks to you, 2017 was another great year at The Salon. We have the absolute best clients in the Kansas City area, and it is your support that has allowed us to continue as one of the longest running, successful salons in Kansas City. We could not have done this without you and we want you to know how much you are appreciated. 2018 will mark our 38th year here in the Country Club Plaza area, and we will continue to work non-stop to make it another great year for our customers and our team. We have added great new talent to our staff, (check out their upcoming bios on our website), and picked up new hair and make-up lines so that we can always offer you the kind of services you deserve. Our team, through our education program, will be working with some of the top educators in our industry including, but not limited to, Wayne Grund, Sam Villa, Vidal Sassoon, and Keune's advanced academy in Atlanta, GA. It is very important to us to stay current with the latest trends and techniques so that we can be the best that we can be! It's all part of our commitment to you! We have some exciting new products and services coming this year which will be announced on our website and Facebook. While you're on our website, don't forget to check out our blog to see what's trending at The Salon. Your positive reviews on Yelp, Google, Facebook and our website are greatly appreciated and help people new to the Kansas City area find the kind of personal salon experience we have worked hard to create. Again, we appreciate you and your business and thank you for all that you do. As the year wound down and the holiday season approached, our team continued to look for ways to pay it forward. Although we support several charitable organizations throughout the year, when Christmas comes around our focus always turns to the children! Basic necessities, clothing, and of course toys topped our list last year, so we teamed up with the Salvation Army for ideas and families that might need our help. With money donated from each team member and money contributed from The Salon, we scurried around town looking for the best deals possible knowing that the more we could buy the more children we could make happy on Christmas morning. We share this with you because we thought you might want to know it’s your support that helps us support those less fortunate in our community. Thank you!!!!! As part of our advanced education program, The Salon sent members of our design team to the Keune Advanced Academy located in Atlanta, GA. The Keune Academy was founded in 2011 with the shared belief that education is the key to success for salon professionals. Through a focused curriculum in four distinct areas - hair color, design, finishing, and business - the Academy empowers our stylist at every level. We share a collective passion: bringing out the true beauty in our clients using quality products and the latest professional techniques. Our team is working hard to be the best! Summer is the perfect time to freshen up your do! We're seeing up, down, all around, light, dark, and everything in between! 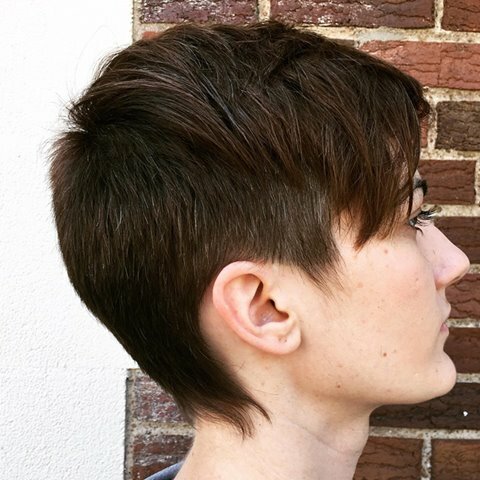 Check out some of our trend-seeking clients and their new summer styles. Hair, make-up, and photography all done at The Salon! The Salon team in front of the infamous Chicago Bean! Thanks to YOU, 2016 was another great year at The Salon. It is the support from our clients that has allowed us to continue for yet another year as one of the longest-running, most-successful salons in Kansas City. So THANK YOU! We want you to know how much you are appreciated. 2017 will mark our 37th year here on the Country Club Plaza, and we are committed to continue to work non-stop to make it another great one for our clients and our team. As such, we already have a number of awesome plans for the New Year. We will be taking our team to the International Beauty Show in Chicago in March, and attending the Keune Advanced Academy in Atlanta this fall to learn the latest trends and techniques from stylists around the globe. It is very important to us to stay current on the latest fashion and learn all that we can. We also have some exciting new product lines coming in 2017. You can visit our new mobile-friendly website and our Facebook/Instagram page to check out these awesome products as they debut in The Salon. As always, your positive reviews on Yelp, Google, Facebook, and our website are greatly appreciated, and we love that they help people new to the KC area to find the personal salon experience we work hard to create here. Again, we appreciate you and your business, and look forward to your visits in 2017! It's going to be a great year!